Here is a summary of the expected weather conditions for the Big Island as Hurricane Lester continues to approach the islands. 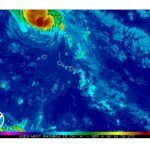 Meteorologist Malika Dudley will be doing LIVE weather updates on our BigIslandNow.com Facebook page. Here is a link to the 5 a.m. video forecast. Based on the current forecast track for Lester, here is your projected forecast. Today we expect partly sunny skies and breezy winds. Windward spots should get scattered showers with afternoon scattered showers for leeward areas. Northeasterly winds are expected from 15 to 25 mph and gusting to 40 mph. This evening wind gusts will drop to about 35 mph gusts with mostly cloudy skies and showers likely in windward spots. Scattered showers are forecast for leeward sides. Saturday we expect mostly cloudy skies with showers likely in windward areas and scattered showers for leeward areas with southeasterly winds from 15 to 20 mph and gusting to 35 mph. 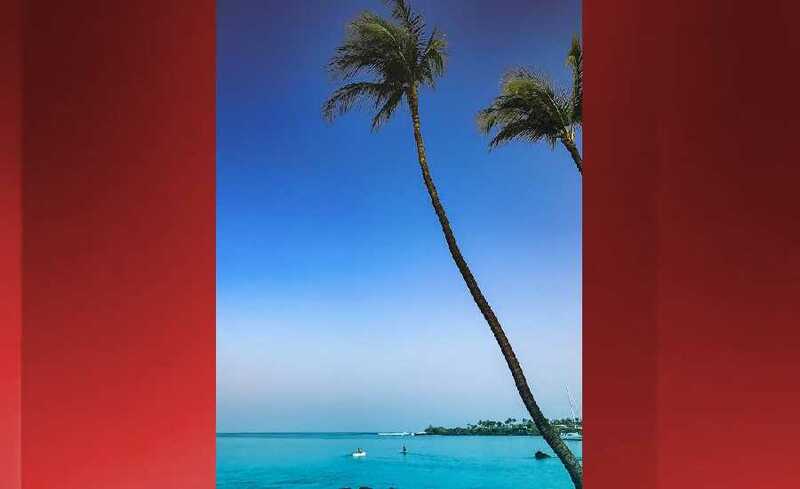 Sunday mostly cloudy skies are in the forecast with an increase in haze for the leeward side. Showers are likely during the day with scattered showers in the afternoon for leeward spots. Windward spots will see occasional showers reduced to likely showers by the afternoon with northeasterly winds around 15 mph. 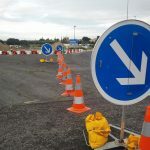 By Monday, conditions should be back to normal. 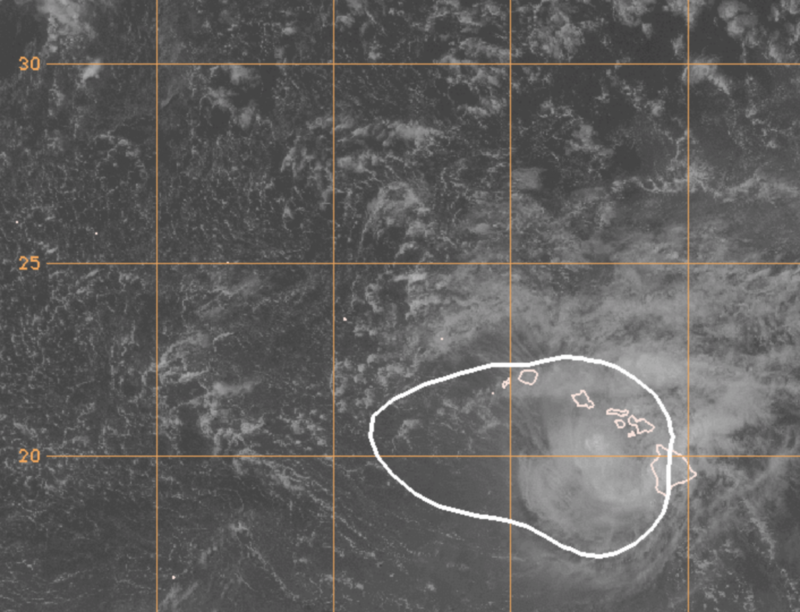 According to the Central Pacific Hurricane Center, on our current forecast track, hurricane Lester is forecast to pass approximately 125 miles to the northeast of the islands this weekend. Lester will pass the Big Island on Saturday morning. The hurricane is expected to gradually weaken during the next couple of days. The most significant impact from Lester is expected to be very large and damaging surf along east facing shores. 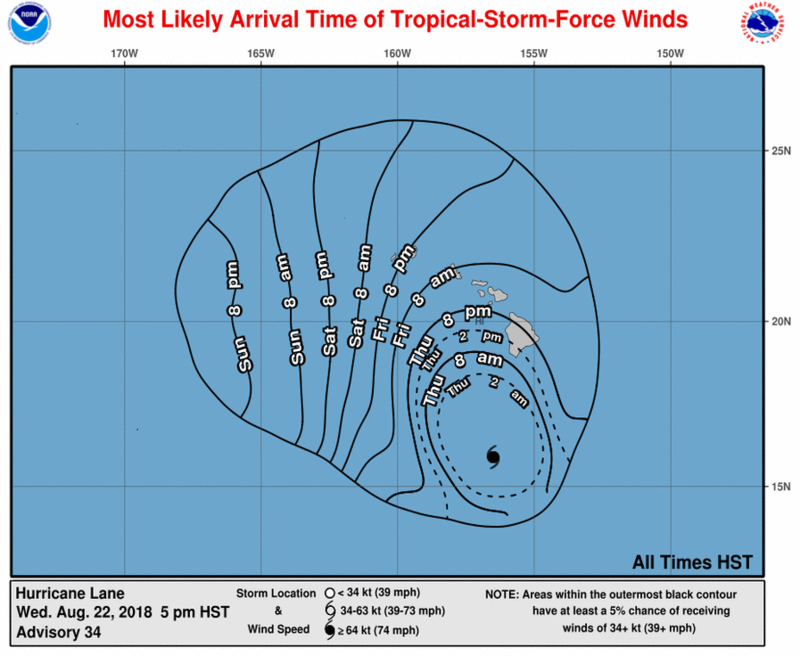 Wind conditions are expected to stay below tropical storm force (39 mph) for Hawaii County. The majority of heavy damaging rain is expected to stay well to the north of the Big Island. A High Surf Advisory is posted through 6 p.m. Friday. A High Surf Warning is posted from 6 p.m. Friday through Saturday at 6 p.m. Very large and damaging surf, with peak waves of 20 to 35 feet, is expected along east facing shores Friday night into Saturday and diminishing on Sunday. These waves, in combination with a possible storm surge of 1 to 2 feet, may cause significant wave runup or damage to coastal properties and infrastructure, including roadways. Powerful longshore and rip currents will be present at most beaches. Large breaking waves and strong currents may impact harbor entrances and channels causing challenging marine navigation. Malika was born and raised in Hilo. She began her career in news at KGMB9 in 2007. As a part of their weather team, Malika was nominated for two Emmy Awards and won the prestigious Edward R. Murrow Journalism Award for her reporting on Big Island tsunami damage in 2011. She is a Certified Meteorologist and graduate of the University of Hawaii at Manoa with a BA in Speech Communication and French. Malika leads the Big Island Now weather team and enjoys conducting video interviews for Big Island Now's news and entertainment sections. The former Miss Hawaii is also a black belt in karate, avid waterwoman, jewelry designer, singer, TV host and mommy blogger.